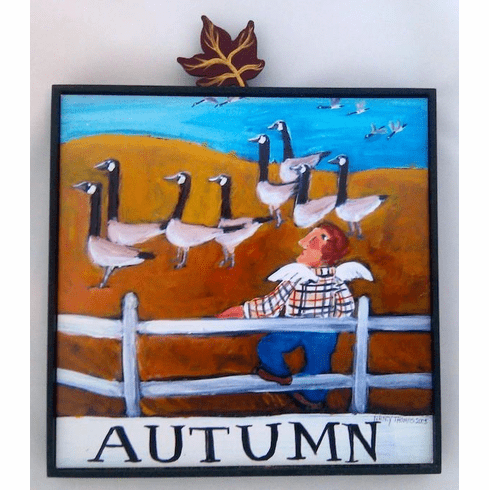 Nancy Thomas' popular Seasons Series, Autumn Geese wood framed with metal topper. This discontinued series was an absolute Nancy Thomas favorite. Limited quantity available.